Professional Chapters fit within the ACM-W established framework to provide a stepping stone between local chapters and the (inter)national organization. These community connections are reinforced by biannual regional Celebrations. Ohio is the home of the first ACM-W Professional Chapter, a proof of concept that may be replicated in other regions where Celebrations are already established. In 2005, the Ohio Celebration of Women in Computing (OCWiC) was one of ACM-W’s first regional Celebrations (celebration.ocwic.org). We have continued to have regular biannual OCWiCs since then, and our community has grown bigger with each event. In 2017, we announced our Community project to provide the Ohio Women in Computing with more networking opportunities and resources in the years between our Celebrations (celebration.ocwic.org) . In May 2018, OCWiC was very pleased to be chartered as the first ACM-W Professional Chapter in the U.S. Becoming a professional chapter formalizes the strong relationship we already have with ACM-W . Connecting our regular Celebrations to a Professional Chapter provides stability and continuity for our organization. As a newly formalized non-profit, we will have new responsibilities, which will support us in adopting more professional practices. ACM-W student chapters around the state, who provide us with news from their areas. Our weekly newsletter has nearly 1000 subscribers. We are planning development on the next phase of our website, to add functionality to make it easier for community members to post and find jobs, volunteer opportunities, events and clubs. 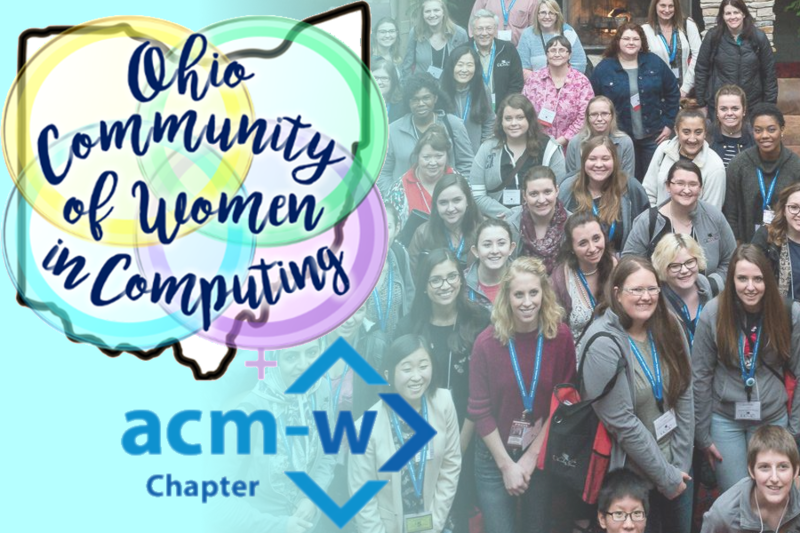 OCWiC ACM-W benefits from stronger ties with local ACM-W student chapters in Ohio, and we can help them connect with each other. As other new ACM-W Professional Chapters are chartered, we will synergize with them to create even more opportunities for a vibrant exchange of ideas with our sister chapters, and to co-produce joint projects and events. ACM-W Celebrations gather women that work or study within the same region together to connect, network and celebrate their mutual interests of Computer Science and technology. Celebrations typical include keynote speakers from academia or industry, panel sessions on topics such as what to expect in your CS career or the impostor syndrome, workshops on resume writing, communication, interview skills or new technologies, a career fair and opportunities for graduate and undergraduate students to present their work. Celebrations are organized by volunteers and most agree that organizing a Celebration is one of the most rewarding things that they have done. ACM will provide some seed funding along with support from Microsoft. We also can provide web-site hosting, handle your finances and provide plenty of advice and assistance on organizing a Celebration. Celebrations happen worldwide! If you are interested in organizing, contact us to discuss! The professional chapters of ACM’s Committee on Women in Computing (ACM-W) serve to increase recruitment and retention of women in computing fields at the university level. An ACM-W chapter offers professionals activities and projects that aim to improve the working and learning environments for women in computing. 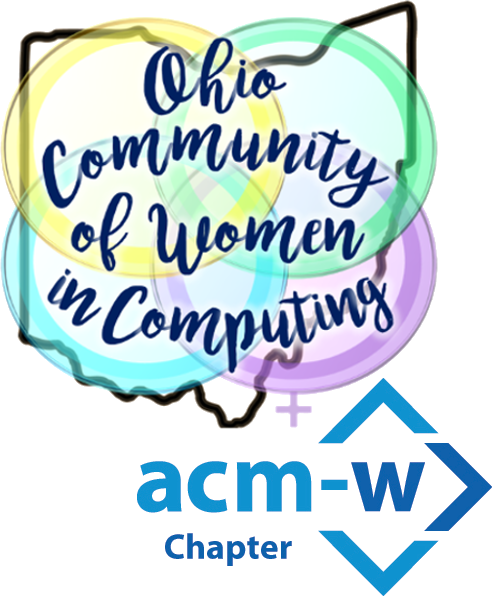 We are pleased to announce the formation of the first ACM-W Professional Chapter in the U.S. Ohio’s OCWiC ACM-W chapter was chartered on April 25th and hit the ground running. By being able to name the chapter in a way that complements their regional celebration they are poised to become a community hub for sharing ideas and resources across the state.